Modi in a corner over the Rafale deal. Hours after a French media report said that aerospace major Dassault had to select Anil Ambani's company for joint venture as a "mandatory" trade-off to win the Rs 59,000-crore Rafale deal, Congress president Rahul Gandhi called for an investigation, declaring that Prime Minister Narendra Modi "is corrupt" and that he is no longer the PM of the country but the PM of Anil Ambani. A report by the French Mediapart has claimed that a top Dassault official, Loik Segalen, had explained to his staff at a presentation last year that the joint venture with Reliance Defence was "imperative and obligatory for Dassault Aviation, to accept this condition, in order to obtain the export contract for Rafale from India". The Congress president questioned Defence Minister Nirmala Sitharaman’s visit to France, suggesting that it was part of a “huge cover-up”. Mr Gandhi alleged that the defence minister had gone to “put pressure” on Dassault. “And let me make one more thing very clear… Dassault is sitting on a massive contract… It will obviously say whatever the Indian government wants it to say. But look at the internal documentation in Dassault… that makes it clear as to what had happened”,” he claimed. The BJP, however, accused Gandhi of mocking national security and said he is trying to build his political career by spreading lies on the Rafale fighter jet deal. “He has been lying and mocking national security,” said BJP spokesperson Sambit Patra. Mediapart’s article reinforced the explosive statement by former French president Francois Hollande last month that France did not have a choice in selecting Anil Ambani’s rookie defence company for the offset clause in which Dassault has to ensure that business worth at least half the deal’s worth — Rs.30,000 crore — is generated in India. Dassault Aviation clarified in a statement today that it had “freely chosen” its partnership with Anil Ambani’s company. But Mediapart stood by its report. “These are minutes of a meeting held on May 11, 2017 within the office of Dassault Aviation company which fully confirms the statement of Hollande on the choice or the imposition of Reliance Group as Dassault’s partner for the Rafale contract,” Antonn Rouget, a journalist with Mediapart, told NDTV in Paris. Opposition parties allege that Reliance Defence was formed just 12 days before the announcement of the Rafale deal in 2015. Anil Ambani has rejected the charges. An internal document of Dassault Aviation, the makers of the Rafale fighters that India is buying from France, shows the aerospace major picking Anil Ambani’s Reliance Defence as the offset partner in India was a “trade-off” for the 36 jet deal, according to a report by French investigative journal Mediapart. “This joint-venture, Dassault Reliance Aerospace Ltd (DRAL), was created February 10, 2017. Other partnerships have been signed with other companies such as BTSL, DEFSYS, Kinetic, Mahindra, Maini, SAMTEL,… Other negotiations are ongoing with a hundred-odd other potential partners,” Dassault said in a press release. The French defence manufacturer said that on May 11, 2017, its Chief Operating Officer Loik Segalen informed the Central Works Council of the creation of the Dassault Reliance Aerospace Limited joint-venture “in order to fulfil some of the offsets commitment”. The new allegations came on a day when Defence Minister Nirmala Sitharaman was headed to France where she will visit a Dassault factory where the 36 Rafale aircraft are being manufactured for India. Ms Sitharaman will also meet her French counterpart, Florence Parly. 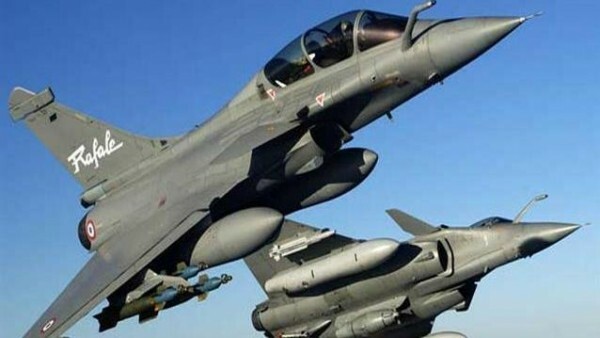 Sources say Dassault is likely to push for more Rafale jets to be bought by India during the Defence Minister’s three-day visit.